In 2015 Public Policy Polling asked voters in the US primary elections whether they favoured the bombing of Agrabah. A third of Republicans said they did, with 13% opposed, the figures reversing for Democrats. Agrabah is a fictional town from Disney’s ‘Aladdin’. It’s now known that people ignore science that doesn’t fit with their currently held views, a triumph of feeling over data. When faced with results we don’t like, we blame the research rather than our own thinking. If there’s something we don’t understand, we ignore it rather than ask what it means. This is a development that universities are heeding in their anxiety not to offend wealthy students. The Death of Expertise: The Campaign against Established Knowledge and Why it Matters by Tom Nichols, looks at this exasperating phenomenon, and how Trump is simply part of a larger wave of anti-rationalism that has been accelerating for years. When in doubt, get the glitter out; theatre director Emma Rice was appointed at the Globe, eyebrows were only slightly raised when she said she didn’t get Shakespeare, and wanted to mike up Sam Wanamaker’s faithfully recreated building. When her charmless, hyperactive production of ‘A Midsummer Night’s Dream’ opened with characters in motorised wheelchairs, balloons and David Bowie, reviews were toothless. It’s great fun to reinvent, of course, but reinventions work best when they’re undertaken to provide insight rather than random sensation. Now, a new director arrives at the Young Vic with a ‘Twelfth Night’ consisting of hardly any text, endless jolly carnival songs and Malvolio arriving on a hoverboard. Beware any Shakespeare production that introduces its characters on motorised transport. The result is, with the best will in the world, pretty awful. Balancing these are the quieter, more nuanced works by new authors who expect thoughtfulness to be reciprocated. Meanwhile, Banksy’s buyer says she’s going to keep the £1million+ shredded picture that self-destructed at its Sotheby’s auction in a Youtube-friendly event because ‘it’s art history’, not because it has intrinsic artistic value. Trust Banksy to create a genuine artistic statement, destroying an ironically sentimental picture called ‘There Is Always Hope’ and turning the art world on itself at the same time. But in most cases it goes on without irony; debate stifled, provenance ignored, history dismissed, education bowdlerised – and this is just in my area of expertise, the creative community. I have friends who are company directors required to attend team-building, trust and feelings exercises wherein up to 200 senior staff members travel somewhere far away to play with Lego bricks and poster paints before hugs, tears and cheers. They all agree it’s an infantilising exercise in humiliation that ignores their training, as well as being a complete waste of time and money. But it’s a nice little earner for the creators who have sold such awaydays into corporations. When I read insulting reviews of books by fellow authors, I check on the reviewer. I often find a young expertise-denier who hasn’t picked up on the book’s themes at all, someone not qualified to understand what has been created. This comes from the arrival of the amateur reviewer who champions gut instinct over comprehension. There are some great amateur reviewers too – some bloggers are better than their professional counterparts in the UK media, but the vocal idiot often runs roughshod over the thoughtful and gifted. But employing gifted experts is expensive, and they’re a dying breed. 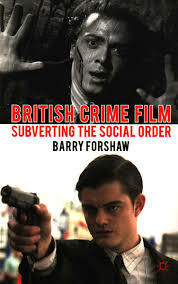 One, a good friend of mine, is Barry Forshaw, whose knowledge of crime fiction and film is wide-ranging and astonishingly well researched. But like many, he is not read by the skimmers who simply surf their tablets looking for bullet points and clickbait. This leads to mature experts being judged by the immature and unqualified, rather as Prince Charles trusts quack cures over empirical data. I’ve had some hilariously inept reviews over the years in which critics simply missed the point. One said, ‘If you’re going to make up a Gilbert & Sullivan opera, surely you could come up with something more believable than ‘Princess Ida’? I was mauled for mentioning the ‘Black Hole of Calcutta’ tragedy in 1756 because I had not balanced it with incidences of British reciprocal atrocities. I was not seeking ‘balance’ but using the event as a plot hinge, but my (caucasian) critic sought representation rather than fiction. These occurrences were once few and far between. Now they’re everywhere, all the time. Me, I go on in the knowledge that there are enough educated readers out there who ‘get it’, whatever I’m writing, because they know I will do the groundwork and put in the hours. The alternative is to pander to the simplest, least sophisticated tastes. It doesn’t matter if you’re not an expert; throw glitter on it and everyone will be happy. None of those things, of course. In fact, one might well suppose that the popular feeling is that Americans are a lot better off without any of that tripe. And as with most things, England’s Feral Underclass is striving to bring this from America to the UK as well. I’ll not exaggerate in defending experts. As a professional expert, I know well that experts can be seriously wrong – they also suffer from ‘own opinion syndrome.’ But that doesn’t justify ignoring them. Indeed, the greatest sin is when someone who should make his judgements on the basis of information from experts instead defers to public opinion. Why shouldn’t we settle vital mathematical details of quantum mechanics by a national referendum? We might even find the laws of physics are quite different in Scotland from the rest of the UK. Bravo–excellent examples of the absurdity of our times and public championing of willful ignorance. Also appreciate the brick exercise. I think it’s more like a developing global feral overclass, whose business models are built on rage and clicks. Anger generates business. The latest issue of the Atlantic had a kind of similar theme and is worth picking up. Laughed at the Princess Ida quote. But maybe I should be terrified.I mean s/he couldn’t even take the time to google it. I’ve just read ‘The Book of Why’ Not the easiest read perhaps but I feel like it should be compulsory. This all sounds too frightening to think about and, anyway, I’m still behind bars. There is a cult of ignorance all over the globe, Mr. Hart (are you former Sen. Gary Hart of 1988 fame? No?). Not too long ago, a scientific survey was done of Nederlander parents, the purpose of which was to expose those presenting arrogant ignorance about their history. The more stuck up these people were, the more they’d agree with absurdist questions regarding their children’s knowledge of Dutch history: “Oh, yes, our children would surely know about Queen Alberta of the Nederlands’s influence on global policy”, happily unaware that there was never a Queen Alberta of the Netherlands. These respondents fell prey to other such traps, never conceiving of the depths of their foolishness. They aren’t the only ones! Not too long ago, one third of of one nation’s population claimed that hen eggs were a grain product (this nation having once been premier among nations for their agricultural economy). How many Belgians know a good part of their prosperity still rests upon one of the greatest slaughters of a native population, exceeding perhaps the slaughters of native peoples in the Americas? Every nation’s ignorance adds to the burden of our ability as a species to make correct choices, to ensure our survival in what will be an increasingly difficult world. My country is much at fault; so are all others. Want a good read? E.M. Forster’s “Where Angels Fear to Tread”. We are all going to the hell we have decided. Well said, Bill. You are quite right. This is a global problem. I remember the British survey that found children believed Fish Fingers were a vegetable. When I was teaching in 2004, I had a child who was quite illiterate. At age 10. He would have to take all of his letters and work to his grandmother though as his parents were also illiterate. He really never stood a chance. the parent’s attitude was that because they were ok without reading, why should he waste time learning it. Of course when they said alright they meant existing on benefits and no chance of ever working. It is heartbreaking. And no not that Gary Hart. But my god did I take some stick when he started his dalliances. And now to be played by Hugh Jackman I hear. Yay, more sarcasm from everyone I know. Agree with Steve B re: Book of Why. Along with her book on understanding stats. Director of Twelfth Night interviewed on BBC–must hear what he has to say for himself. I was horrified when a UK Home Secretary stated that, since the statistics indicated no correlation between the possibility of capital punishment and the murder rate, he could draw no conclusion as to its effectiveness as a deterrent. Was he trying desperately not to give an opinion or had he failed to understand the obvious: that no relationship indicates no effect? Not understanding stats happens a lot with UK Government Ministers, especially on topics that don’t suit the prejudices of the newspapers read by their supporters. Maybe I’m tremendously intolerant, but I don’t accept, or ‘do’ Stupid. There is no excuse for it these days. There is a horrid trend amongst some people, that knowing nothing is somehow charming. It isn’t. Ian, I must read the wrong books because I wouldn’t have known that answer, but I do listen to the CBC, which is the easy way to learn a great deal, or so my son informs me. You are quite correct of course and I think that other team must have been adding massively to the landlord’s gross for the evening, not the best way to do a quiz. I think in the UK it’s a cultural thing too. We don’t (perhaps never have) give much value to knowing things. We have the phrase – too clever by half. Being a swot at school was never a good thing unless you enjoyed being duffed up behind the bike sheds. Martin – you are quite correct. Even the funny little show for children, ‘Peppa Pig’ (where all the characters look like unholy hybrids of mammals and Dover Soles, but let’s not go there), has a character who often corrects grown-up characters, and is referred to as ‘A bit of a clever clogs’. But honestly, I gave up watching ‘University Challenge’ when it became painfully obvious how far standards of knowledge had dropped. Yes, we can answer questions on ‘Spongebob Squarepants’, and ‘Hollyoaks’… But even though at least one of us is doing a degree in a science subject, none of us have a clue as to what the proper name for ‘Heavy Water’ is. (Deuterium, by the way) I’m going hoarse shouting at the screen, and one can sense Jeremy Paxman considering getting a sword and putting these idiots out of our misery. No court in the land would convict you, Paxo. Not one. Happy Birthday, John and Arthur! Throw Those Old Photos Out Now!